One of the things I missed most about the UK during my years abroad was…Tesco. It may sound silly, but there’s a lot to be said for a familiar British supermarket. The layout is logical, the queues are never too long, everything makes sense. Whenever my mum came to visit me in whichever country I was living in, she always asked for a trip to the supermarket just to see how it differed, and I think she was onto something – you can tell quite a bit about a place by the shopping and eating habits of its people. I was even happier to get back to Tesco when I saw these little recipe cards they’ve started making. Last week I got a recipe from a novel, this week I got one from the supermarket – there’s inspiration everywhere! I’ve adapted this recipe a bit, and it is absolutely scrumptious. It’s so thick, comforting and wintery that I would mark it as a good option for a Christmas dinner starter. Yes, my thoughts are officially turning towards Christmas now – only one month to go! 1. Preheat the oven to 200C. 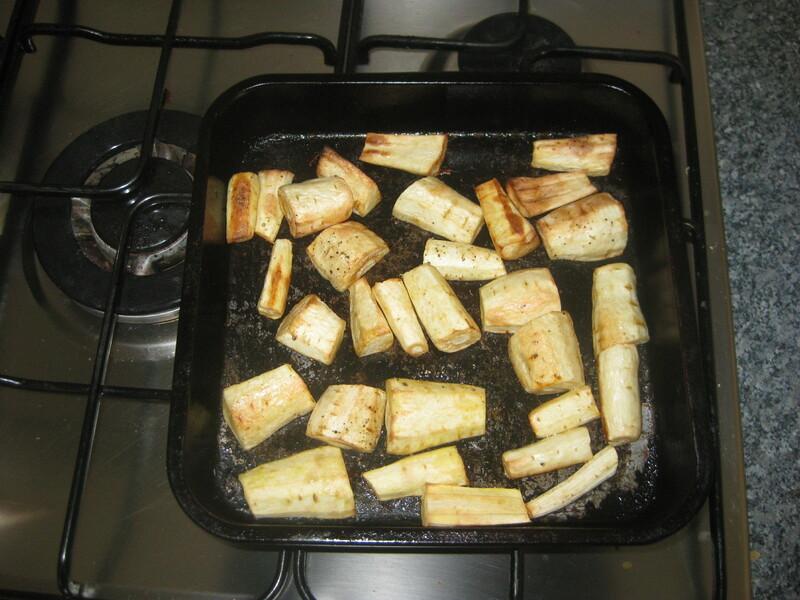 Place the chopped parsnips in a roasting tin, drizzle with half the oil, season and roast for 35 minutes. 2. 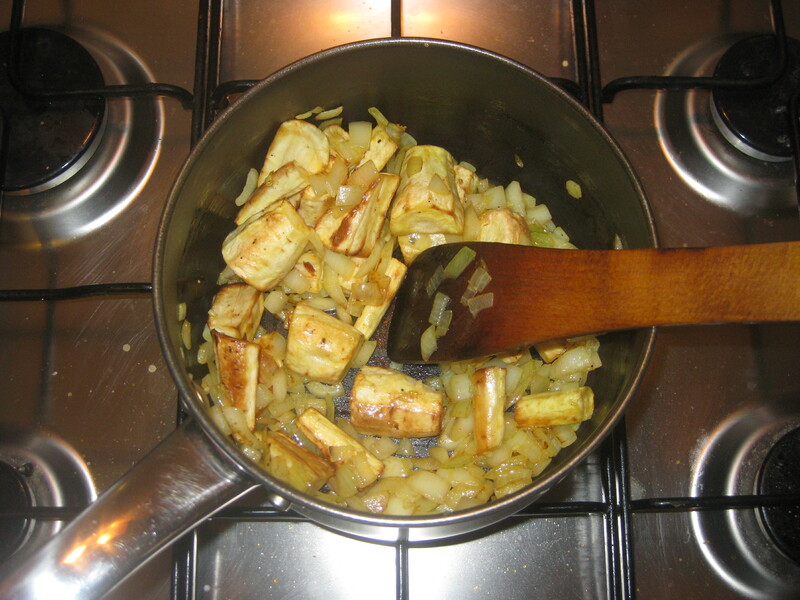 Heat the rest of the oil in a large pan and fry the onion for 5 minutes. 3. 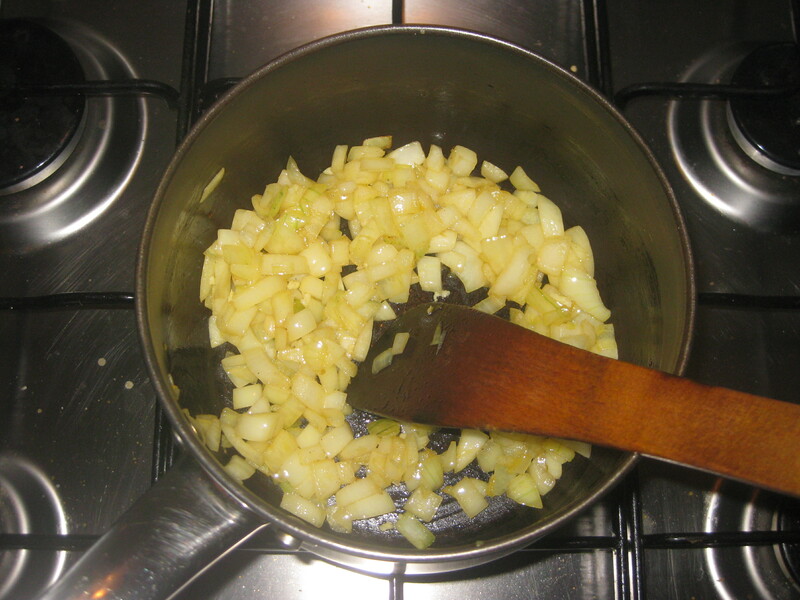 Add the garlic and fry for 3 minutes more. 4. 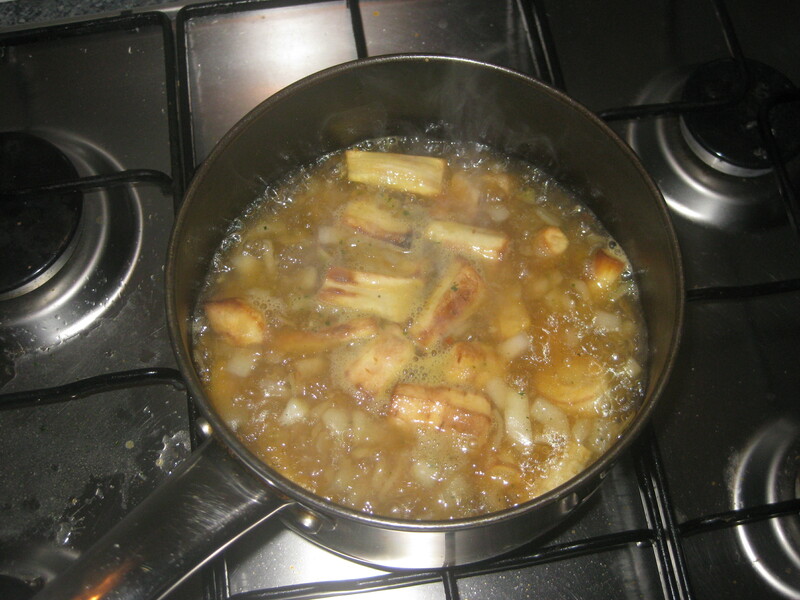 Add the roasted parsnips, and stir well to combine. 5. Pour in the stock, bring to the boil and simmer for 20 minutes. 6. 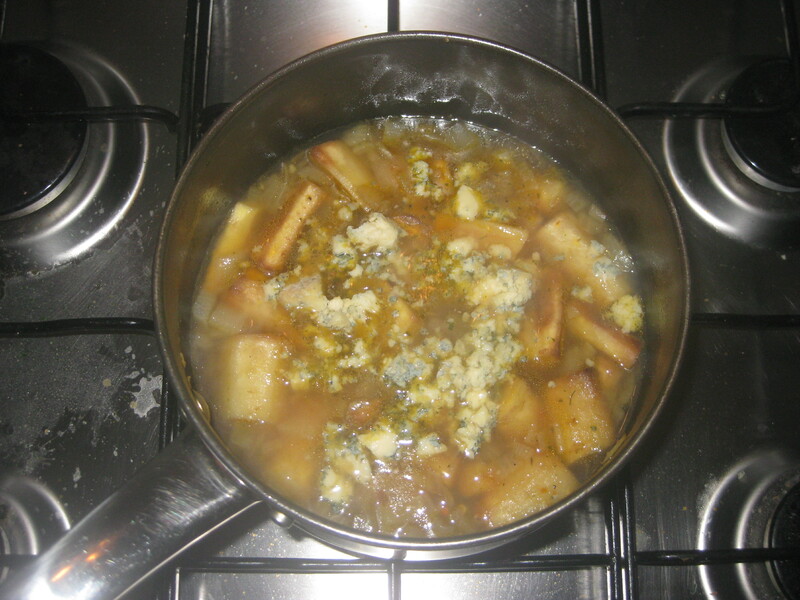 Remove from the heat and add the vinegar and 100g Stilton. Stir in, then set aside to cool slightly. 7. 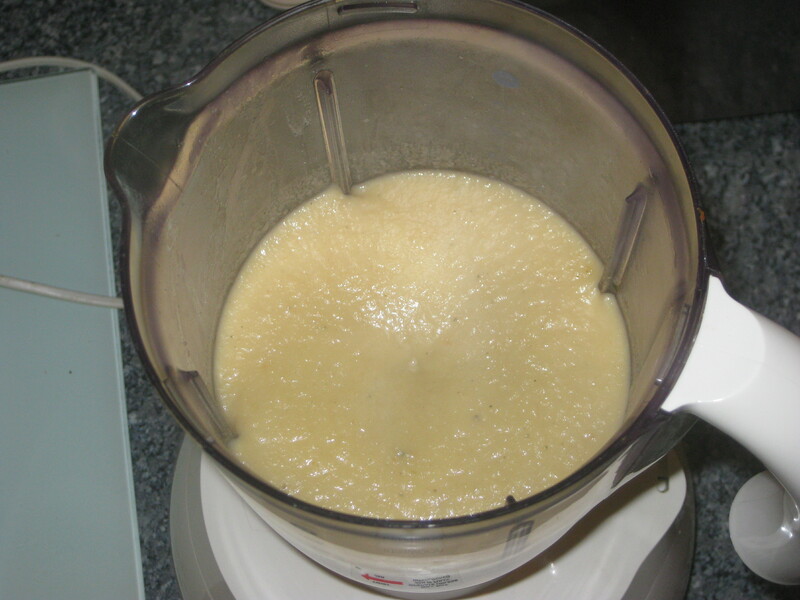 Whizz in a blender until smooth (this may need to be done in two batches). 8. 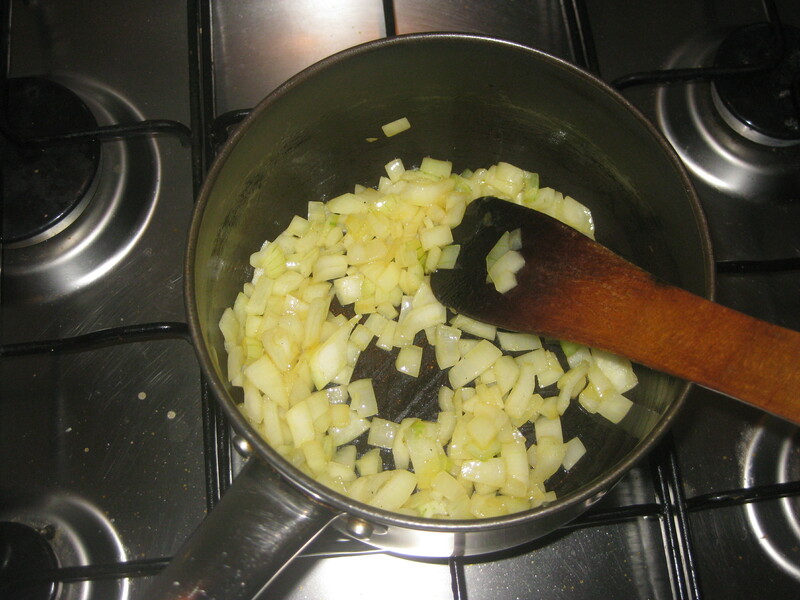 Return the soup to the pan and stir in the creme fraiche. Warm through. 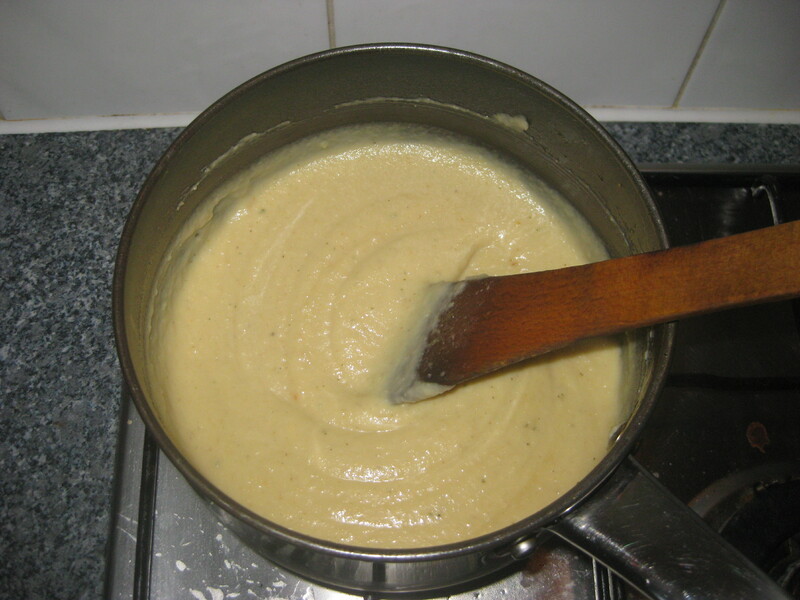 You may want to add a little more water to thin it out if you don’t like thick soups. 9. 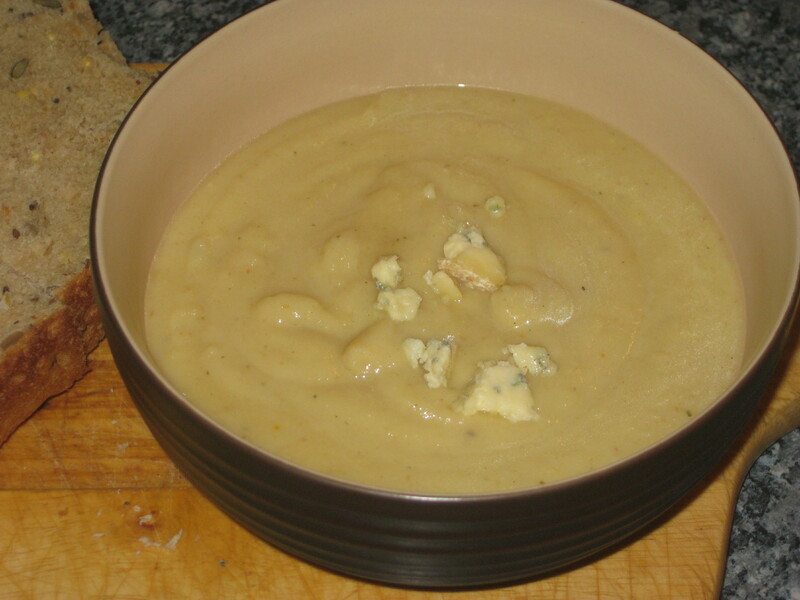 Season, and serve in bowls with the remaining Stilton crumbled on top. 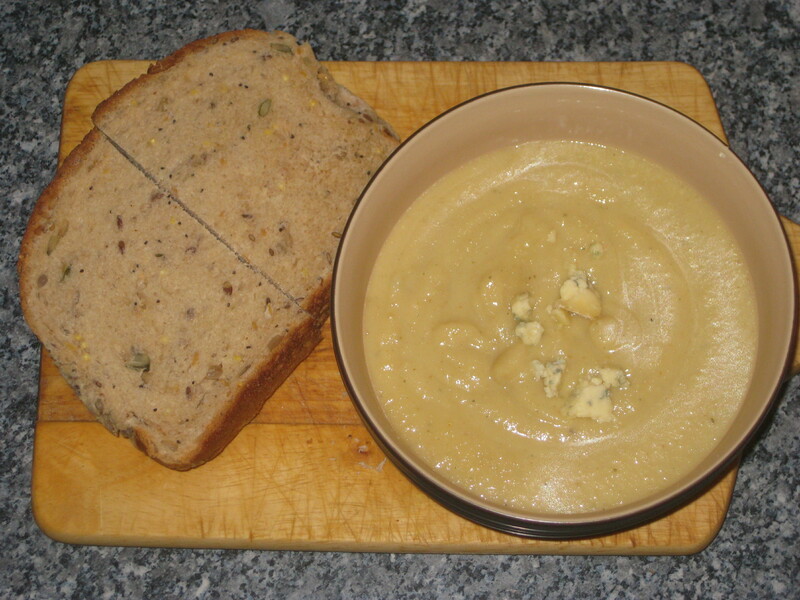 This entry was posted in Vegetarian Recipes and tagged Christmas dinner, Christmas leftovers, parsnip and stilton soup, vegetarian soup, winter soup. Bookmark the permalink.